Edward Snowden reveals details of Hong Kong and China NSA hacking. 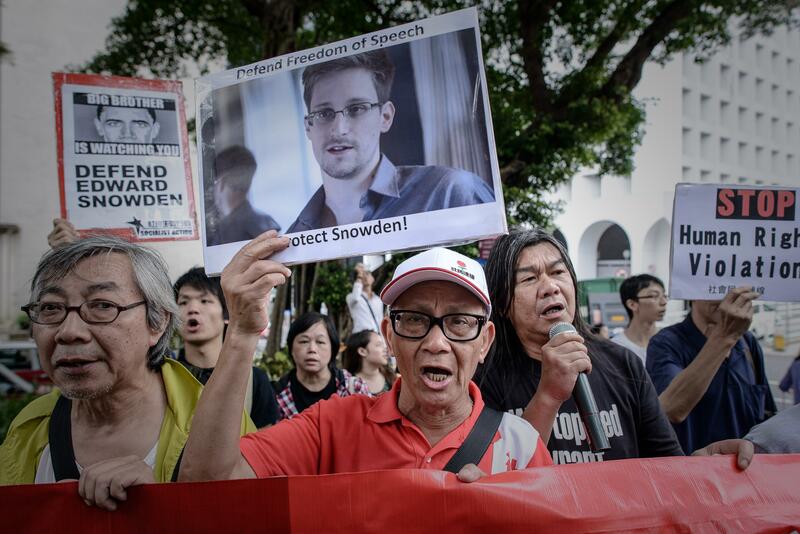 Will China Offer Snowden Freedom in Exchange for Information? Edward Snowden’s revelations keep coming. On Friday, the South China Morning Post reported that the former National Security Agency contractor shared details on the IP addresses of the computers in Hong Kong and China that the NSA had hacked over the last four years. The detailed data also reveals “whether an attack on a computer was ongoing or had been completed, along with an amount of additional operational information,” reports the Hong Kong daily. Snowden insisted that he felt comfortable sharing this information because the targets were civilian computers. “I don’t know what specific information they were looking for on these machines, only that using technical exploits to gain unauthorized access to civilian machines is a violation of law. It’s ethically dubious,” Snowden said. The Chinese government should acquire more solid information from Snowden if he has it, and use it as evidence to negotiate with the U.S.
Snowden is a political offender against the U.S., but what he is doing benefits the world. His actions test, rather than disturb, the bilateral ties. Public opinion will turn against China’s central government and the Hong Kong SAR government if they choose to send him back. Snowden is a “card” that China never expected. But China is neither adept at nor used to playing it. China should make sure that Hong Kong is not the last place where other “Snowdens” want to go. At the very least, Hong Kong should be an acceptable destination for them. Meanwhile, the Associated Press reveals that the British government has issued a travel alert, warning airlines not allow to Snowden to travel to the United Kingdom.